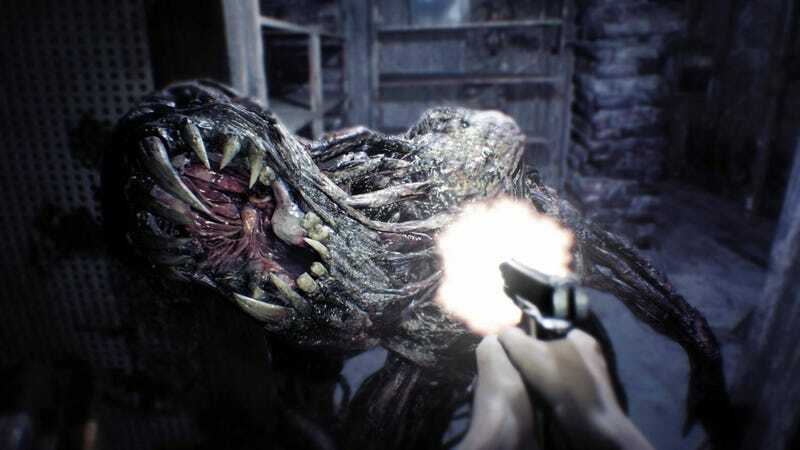 Resident Evil 7 is filled with dangerous traps and terrifying monsters. A cautious player will slink and stalk their way through the danger. Speedrunners? They’re rushing through the game without any hesitation. My own playthrough of Resident Evil 7 clocked in at around nine hours. Speedrunners are blazing through it in a fraction of the time. Runners like Stirliing and DraQu have pushed the game down under two hours. These speedruns focus on the game’s new game plus mode. It adds a host of special items that help runners complete the game quickly. The most important of these are the Running Shoes. Completing the game in under four hours will unlock these special kicks that significantly increase the player’s movement speed. Another key is the absolutely beastly Albert-01 pistol. Players unlock this by completing the game on any difficulty. It cuts down the game’s annoying boss fights and blows the head off any pesky monster. Seriously, this thing is terrifying. Combined with infinite ammo, the runners turn into mad dashing, bullet barfing badasses. This doesn’t mean that the run is simple though. Speedrunner Bawkbasoup lost time on his run when a leaping Molded slashed him and caused a game over. There’s also small things that can affect speed. For instance, it’s possible to sneak away from your first encounter with Jack Baker without him every chopping off a limb. Getting caught wastes valuable time. But moving fast means making noise. It’s a fun dynamic. Stirliing currently has the best run with a 1:42:48. The game’s barely out and there’s no major glitches so expect that time to shrink more and more. I’ll just be over here, slowly making my way through my Madhouse playthrough like a frightened snail..